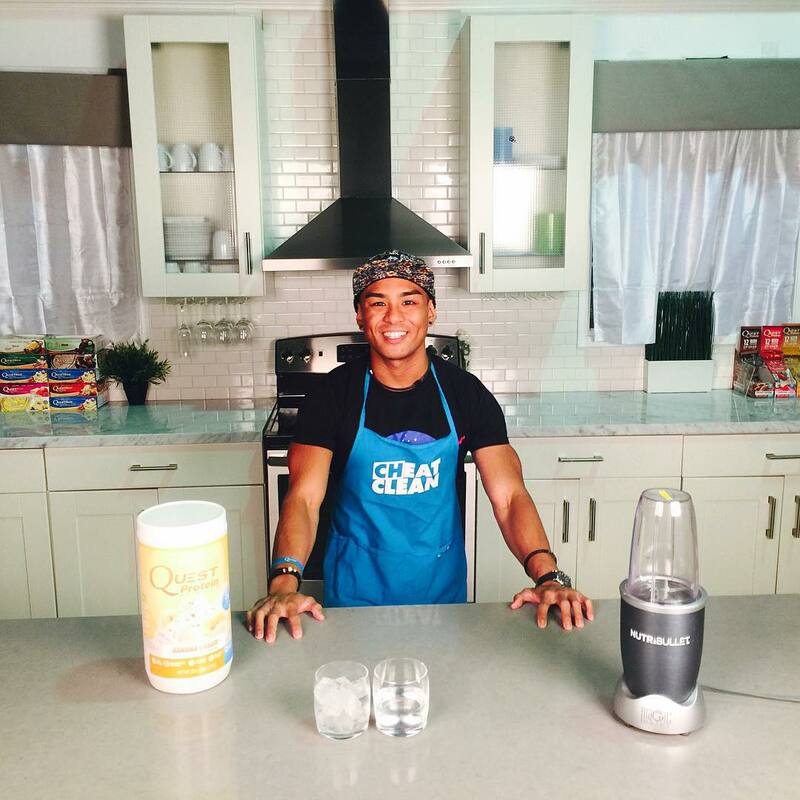 This sweepstakes is sponsored by Quest Nutrition, LLC, 2233 El Segundo Boulevard, El Segundo, CA 90245 (“Quest”). There is no purchase necessary to enter or win. This sweepstakes is open to legal residents of the fifty United States and Washington, DC who are eighteen (18) years of age or older at the time of entry; however, the sweepstakes is void where prohibited by law. 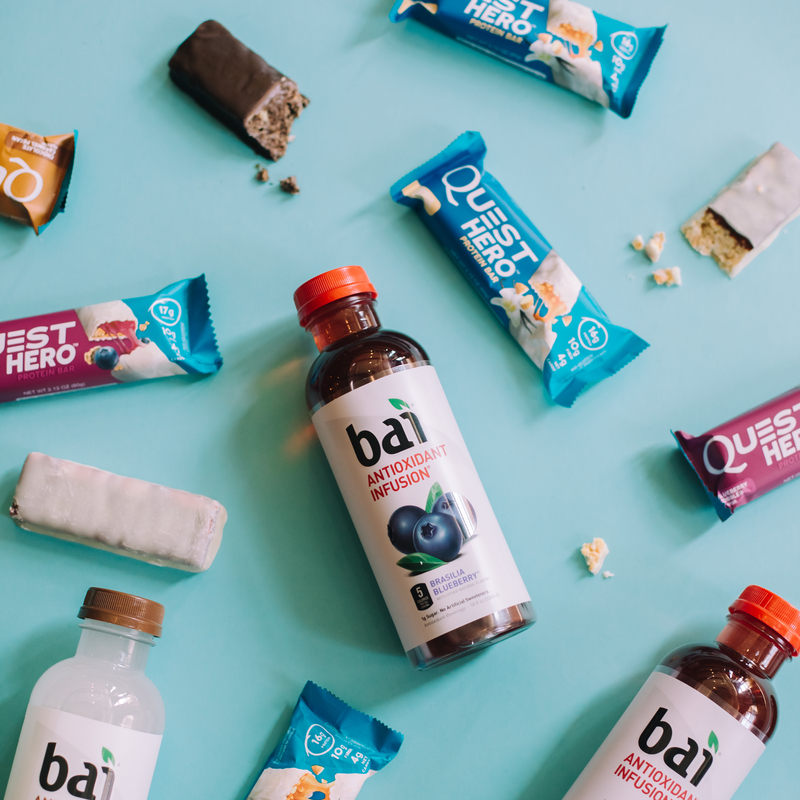 Employees of Quest and its affiliates, licensees, franchisees, advertising and promotional agencies and the immediate family members are not eligible. Immediate family members are a person’s parents, siblings and children. By entering, participants agree to be bound by these rules and the decisions of Quest which shall be final. All federal, state, and local laws apply. Quest and the employees, officers, directors, shareholders, agents, and representatives of Quest and its affiliates, subsidiaries, and advertising, promotion and legal advisors are not responsible for and shall not be liable for: (i) late, lost, delayed, damaged, misdirected, incomplete, illegible, or unintelligible entries; (ii) telephone, electronic, hardware, or software program, network, Internet, web site, social media platform or computer malfunctions, failures, or difficulties; (iii) errors in transmission or reception; (iv) any condition caused by events beyond the control of Quest that may cause the sweepstakes to be disrupted or interrupted; (v) any injuries, losses, or damages of any kind caused by a prize or resulting from acceptance, possession, or use of a prize, or from participation in the sweepstakes; (vi) errors in these official rules or their interpretation or enforcement; or (vii) any printing or typographical errors in any materials associated with the sweepstakes. By participating in the sweepstakes, entrants agree to release and agree to indemnify, defend and hold harmless Quest and the employees, officers, directors, shareholders, agents, and representatives of Quest and its affiliates, subsidiaries, and advertising, promotion and legal advisors (collectively, the “Released Parties”) from and against any and all claims, demands, losses, or cause of action for any damages (including, without limitation, all consequential, punitive, and incidental damages), liability, loss, cost, fees (including attorneys’ fees), including, but not limited to, personal injury, death, or damage to or loss of property, arising out of participation in the sweepstakes or receipt or use or misuse of any prize, and for claims based on publicity rights and intellectual property rights, defamation or invasion of privacy. Any dispute arising out of or relating to these official rules or this sweepstakes shall be resolved by binding arbitration in accordance with the then current rules of the Judicial Arbitration and Mediation Service. The place of any arbitration shall be Los Angeles, California. Quest reserves the right, in its sole discretion, to (a) void any and all entries of an entrant who Quest believes has attempted to tamper with or impair the administration, security, or fairness of the sweepstakes, and/or (b) disqualify any participant or winner who, in its sole determination, tampers with the entry process, submits more than a single entry or violates these official rules. Prizes will be awarded in a random drawing held after the Qualification Period on November 5, 2014 from among all eligible entries received. Odds of winning depend on the total number of entries received. The drawing will be for the following prizes: Seven Grand Prizes. Quest will select at random from the eligible entries seven Grand Prize Winners. Each Grand Prize Winner will receive the following: one Grand prize consisting of (a) roundtrip air travel for winner from the closest major airport to winner’s residence to Los Angeles, California (LAX) with an approximate value of $500, (b) two consecutive night hotel accommodations in Los Angeles, California with an approximate value of $400.00, (c) Visa gift card with an approximate value of $250, and (d) entry to the Quest Nutrition Launch Party on November 9, 2014 from 1 pm to 5 pm with an approximate value of $100. Approximate total Grand Prize retail value of $1,250.00. All airfare, hotel and event bookings shall be selected by Quest in its sole discretion. Hotel accommodations do not include meals, incidentals, tips, telephone calls, parking, souvenirs, taxes, or any other personal expenses incurred during the vacation not specified here. Winners who entered via Shoutlet or through Facebook, YouTube, Twitter, Instagram or another social media platform will be notified by e-mail on November 4, 2014 that they are winners. Winners who entered by e-mail will be notified via the contact information on the e-mail. Quest reserves the right to use additional means to contact winners, at its sole discretion. If a Grand Prize Winner does not respond to notification as a winner by 5:00 pm on November 5, 2014, then the prize will be forfeited and an alternate Grand Prize winner will be selected at random from the remaining eligible entries. If the alternate Grand Prize winner does not respond to notification as a winner by 5:00 pm on November 6, 2014, then the prize will be forfeited and Quest shall have the option of either (a) selecting an additional alternate Grand Prize winner at random from the remaining eligible entries, or (b) not selecting an alternate Grand Prize winner and allowing the prize to remain forfeited. Winners may not substitute or transfer prizes. Quest reserves the right to substitute a prize of equal or greater value in the event a prize is unavailable. Prizes are not redeemable for cash. All taxes on prize are winners’ responsibility. 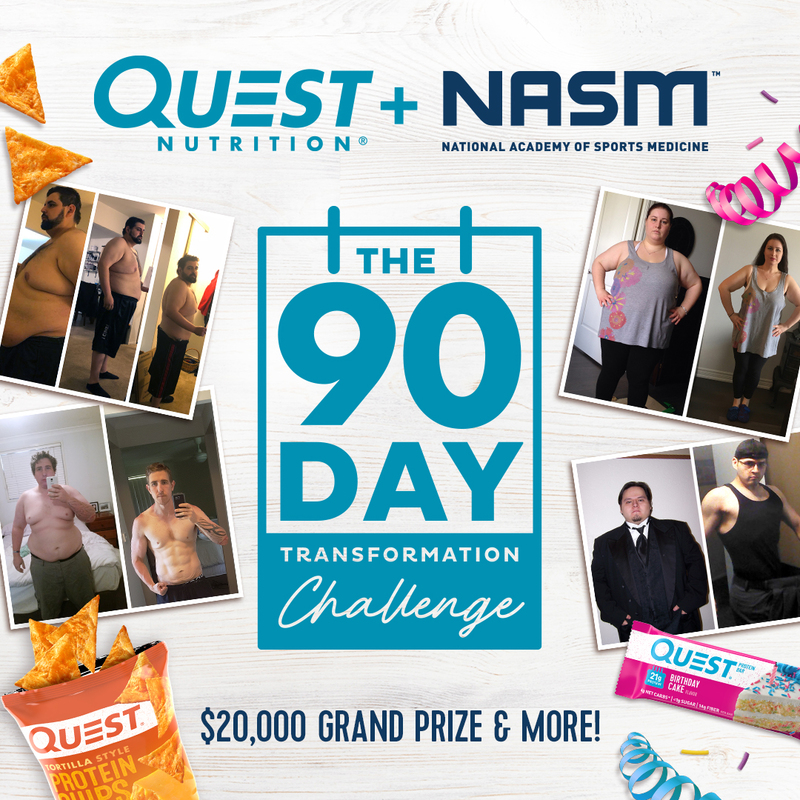 Any inquiries or questions regarding this sweepstakes, other than a request for the names of the winners, may be made by sending the inquiry or question with a self-addressed, stamped envelope to Quest Nutrition, LLC, 2233 El Segundo Boulevard, El Segundo, CA 90245 or an e-mail to [email protected]. 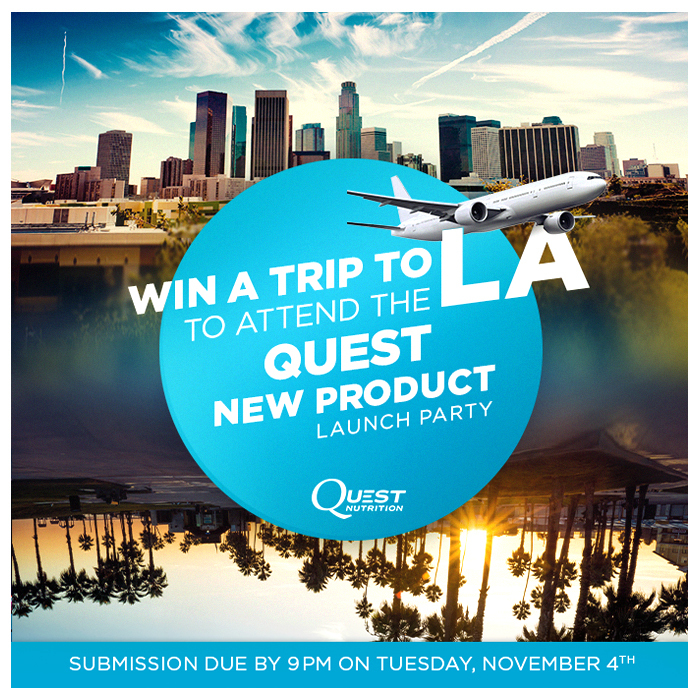 Requests for the names of the winners may be made by sending a self-addressed, stamped envelope to Quest Nutrition LLC, Quest Nutrition Product Launch Party Sweepstakes, 2233 El Segundo Boulevard, El Segundo, CA 90245 with a request for the names of the winners. Written by: Clark Pagaduan on November 1, 2014.on November 3, 2014.